Since becoming a mum I have loved starting up our own family traditions at Christmas. Some have been passed down a generation from my own childhood, some are brand new. One new one for us, which is also one of my favourites, is our Christmas Eve ritual. After dinner, the girls and I head outside to sprinkle reindeer dust (made up of oats and bran, with a little biodegradable glitter mixed in for some festive magic!) around the garden so that Father Christmas knows to stop here. While we're doing that one of Father Christmas's elves (aka Himself.... who looks a little bit like an elf now I think about it) pays us a visit and leaves Christmas PJs and slippers to wear to bed..... but only if the girls' bedrooms are tidy! Last month we were sent some gorgeous pieces that would be the perfect festive purchases for other people with a similar tradition to this! Evie was sent a 2 pack of Mothercare Unisex Christmas Pyjamas (the other parts to the set include a reindeer top and bottoms with a festive pattern to match the top of this one!). They cost just £14 a pack (so £7 a pair) and are utterly adorable. Plus I always think it's handy to have interchangable multi-packs of sleepwear with little ones. 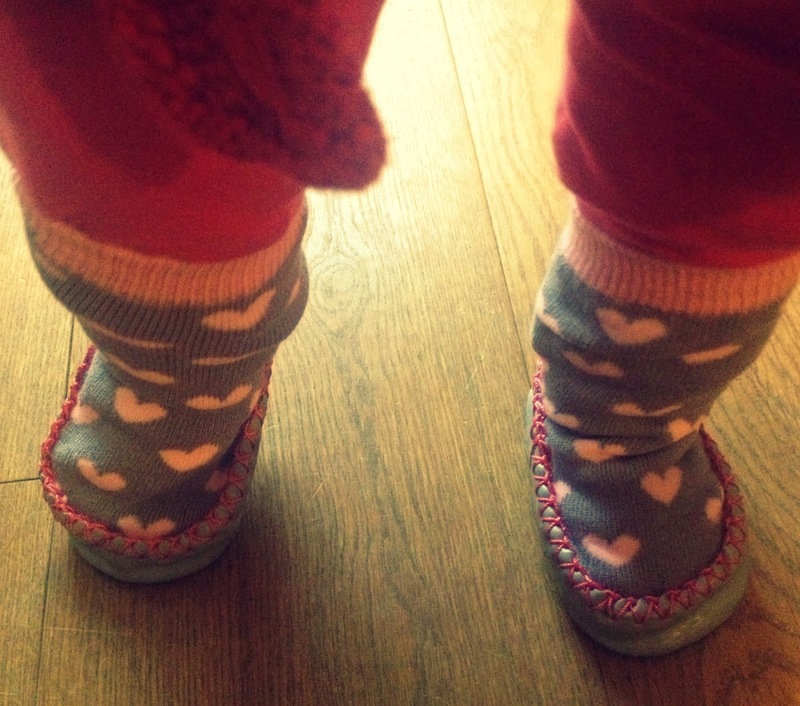 Evie was also sent these beautiful My Little Shoes Slipper Socks. 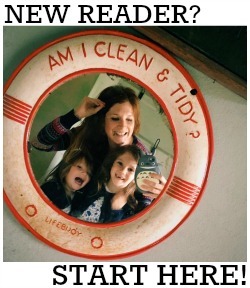 I'm particularly in love with this company after discovering they're local to me in Haslemere in Surrey (SHOP LOCAL!). Retailing at £9.99 these are perfect for keeping little feet warm indoors. They have suede soles which stop slipping and the sock part, which stretches half way up the calf, makes sure they stay securely on little feet. Best still they are washable at 40 degrees! Despite already having some lovely Christmassy sleep wear, the Christmas elf will still be paying us a visit this year! 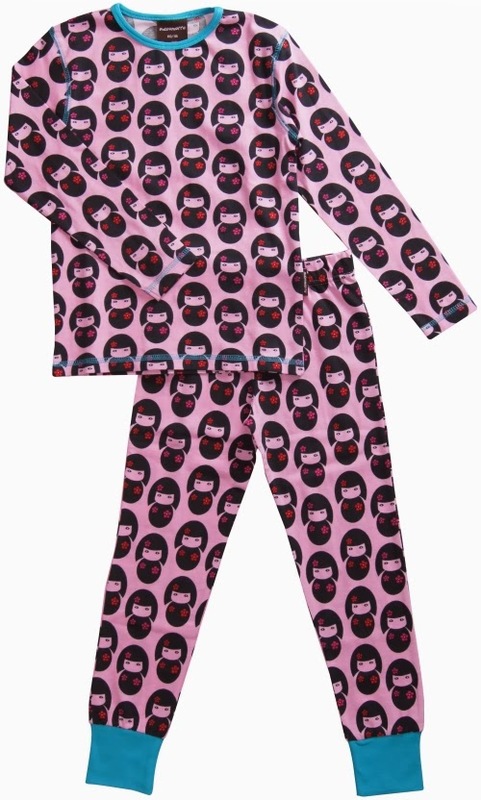 I'm planning on getting the girls matching Maxomorra Geisha Pyjamas from KyNa Boutique. They're made from super soft organic cotton and cost £24 a pair (and are also available in a rompersuit for teeny tiny littlies for £15). Aww - lovely! Wed did this last year, but I think you're right - it should be a tradition!